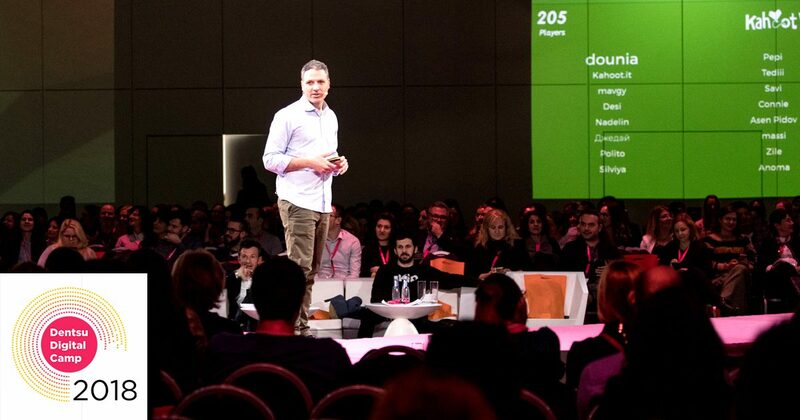 Last week we attended Digital Camp 2018 in Sofia focused on the hot topic “Transforming the future: people and data”. 1) Having a great communication with customers. Take their feedback in concern is a must. 2) Decision making and implementation, based on data analysis and using nowadays technology. 3) Optimization, based on our knowledge. What did we find important covered by Digital Camp 2018? We think that most of the attendants took away something good, interesting, innovative and inspiring. Something that they could think of or even implement in their future strategy. Artificial intelligence is the new competitive weapon, everybody knows that. Google collects a lot of personal information like name, birthday, recent Google search queries, exactly where you’ve been over the past several years, etc. Connected to our field of expertise- digital marketing- Google collects a lot of your personal data in order to target ads and improve your experience. Ilias Sousis – Head of Agencies and YouTube for Google (Greece, Bulgaria, Cyprus & Malta) talked about Artificial Intelligence (AI). AlphaGo Zero – emphatically defeated the previously published version of AlphaGo. It’s the milestone in the general purpose of the AI. It learns on his own from a blank slate, e.g. Machine Learning. Most of the latest AI is called “narrow” because they perform only a single task, such as translating languages or recognizing faces. We will see what the future brings…. Rikke Grundtvig- Chief Marketing Officer, Dentsu Aegis Network NCE, made a presentation focused on people and less about data. It might sound strange that having the comfort with AI we still need to have people in this system. As people who are 24/7 in the marketing field, we should be taking care of all processes and even try to predict the possible outcomes and incomes. Every marketer knows how significant is to stay in the top positions. Human resource is very important to the company’s life and future. We should invest in people’s knowledge and good mood in the office. Every person counts and is a part of the big mechanism called a company. Almost all of the speakers mentioned this one way or another. Though everyone agrees on “technology is changing fast” no one is sure what the speed of change is and what the coverage is, really. One thing is sure – it is fast! And if you think that you are late – well, yes, you probably really are. We should use many tools in our practice to be fast working and to make a deep analysis. But how to choose the right tools? As we mentioned machine learning is improving its performance by itself so in all cases that would lead to change in digital marketing standards and maybe even processes. We should stay informed and make the right decisions based on all the information we could get. What Nigel Morris said was: “You will either be jumping out of new unfamiliar circumstances (like a frog from boiling water) or boil “, and run out of clients. It’s sure that AI will be mentioned more and more in the future as it will have a strong effect on our lives, even upon the ordinary things we make at home. But where data and technology could take us? What technology to choose? Where are the boundaries between people and technology? What is the role of humans? These are the questions that everyone should ask himself.